Hi guys, what’s up? In my previous post I reviewed the Maybelline Fit Me Concealer and today I’ll talk about the Maybelline Fit Me Compact Powder. I purchased this powder somewhere around late December last year and I have an opinion. Let’s see whether I love it or love it not. What Maybelline Claims: Oil-free and lightweight setting powder. Naturally sets makeup and smoothes skin’s texture. For normal to dry skin. 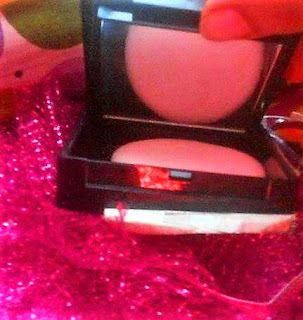 Packaging: The powder comes in a black sturdy flip open case with a transparent top through which you can see the product. 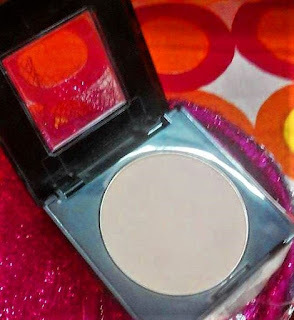 On the top the shade name, the brand name and the range is mentioned with silver ink and on the back all the ingredients and other details are mentioned. It is a two-tier case, the first tier contains the powder and the second-tier contains a mirror and has a mirror which I think is very convenient. The case is quite sturdy and travel-friendly. Product: The powder has a very smooth, buttery, creamy texture and smells of nothing. The color blends quite easily and get adapted to your skin and fits it nicely. The puff is very soft. My Experience: Well, Compacts have not been a great companion of mine especially during the winters as I have dry skin and it makes me look flaky and porous. But, I was searching for something and I came across this. First I thought of ignoring it but then my eyes fell on the words “normal to dry” so I thought of giving it a shot and girl!! To my surprise, I’m totally amazed by this powder. Just one sweep from your powder brush and you are ready for the day. It does not make me look flaky despite of my dry skin. It sets my foundation perfectly and doesn’t let it melt. It blots excessive shininess and makes the skin look smooth and flawless with a natural finish. I totally love this powder and am never letting it go. Maybelline has always been my favorite brands when it comes to makeup and they never disappoint me instead take my expectations to a higher level. I’m never going back to my other powders. 2. Nice and sturdy Packaging. 3. Oil-free yet suits my dry skin like a dream. 6. Adapts to your skin nicely. 7. Natural sheer fresh finish. 8. As it is a two-tier case, the mirror and the powder are separate hence the mirror doesn’t get dirty. 9. It sets your base flawlessly and gives a smooth finish. 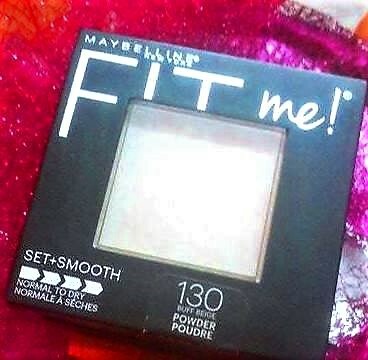 I’m totally in awe of the Maybelline Fit Me Compact Powder and would recommend to each one of you out there if you haven’t tried it yet.